The Explanation Such being the eminence of the author, such being the greatness of the work, why is it not the cynosure of the fundamentalists eyes? India is the country having largest number of Mosques in world with a count of 3,00,000!. And where did these mosques come from? How many are temples converted to Mosques during Muslim rule? Answers are here explained in separate parts. Barely seventeen pages; the chapter is simply written. A few facts about some of the principal mosques are described in a few lines each. The facts are well-known, they are elementary, and setting them out in a few lines each should attract no attention. And yet, as we shall see, there is furtiveness in regard to them. Why? Descriptions of seven mosques provide the answer. According to my findings the first mosque of Delhi is Qubbat all-Islam or Quwwat al-Islam which, it is said, Qutbud-Din Aibak constructed in H. 587 after demolishing the temple built by Prithvi Raj and leaving certain parts of the temple (outside the mosque proper); and when he returned from Ghazni in H. 592, he started building, under orders from Shihabud-Din Ghori, a huge mosque of inimitable red stones, and certain parts of the temple were included in the mosque. After that, when Shamsud-Din Altamish became the king, he built, on both sides of it, edifices of white stones, and on one side of it he started constructing that loftiest of all towers which has no equal in the world for its beauty and strength. This was built by Sultan Ibrahim Sharqi with chiselled stones. 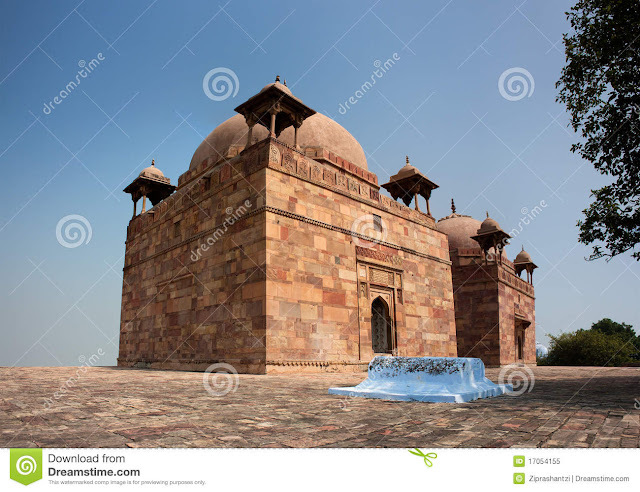 Originally it was a Hindu temple after demolishing which he constructed the mosque. It is known as the Atala Masjid. The Sultan used to offer his Friday and Id prayers in it, and Qazi Shihabud-Din gave lessons in it. If the facts were in doubt, would a scholar of Ali Mians diligence and commitment not have commented on them in his full-bodied foreward? Indeed, he would have decided against republishing them as he decided not to republish much of the original book. And if the scholars had felt that the passages could be that easily disposed of, why should any effort have been made to take a work to the excellence of which a scholar of Ali Mians stature has testified in such a fulsome manner, and do what has been done to this one? And what is that? Each reference to each of these mosques having been constructed on the sites of temples with, as in the case of the mosque at Benaras, the stones of the very temple which was demolished for that very purpose have been censored out of the English version of the book! Each one of the passages on each one of the seven mosques! No accident that. Indeed there is not just censorship but substitution. 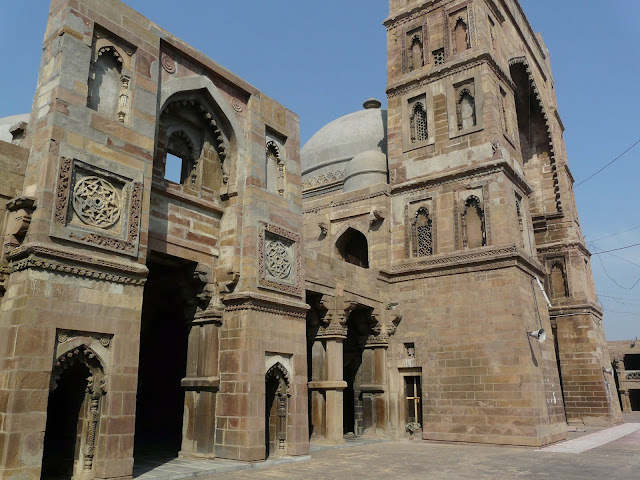 In the Urdu volume we are told in regard to the mosque at Qanauj for instance that this mosque stands on an elevated ground inside the fort of Qanauj. It is well known that it was built on the foundation of some Hindu Temple (that stood) here. In the English volume we are told in regard to the same mosque that it occupied a commanding site, believed to have been the place earlier occupied by an old and decayed fort. But that, though obvious, weighs little with me. 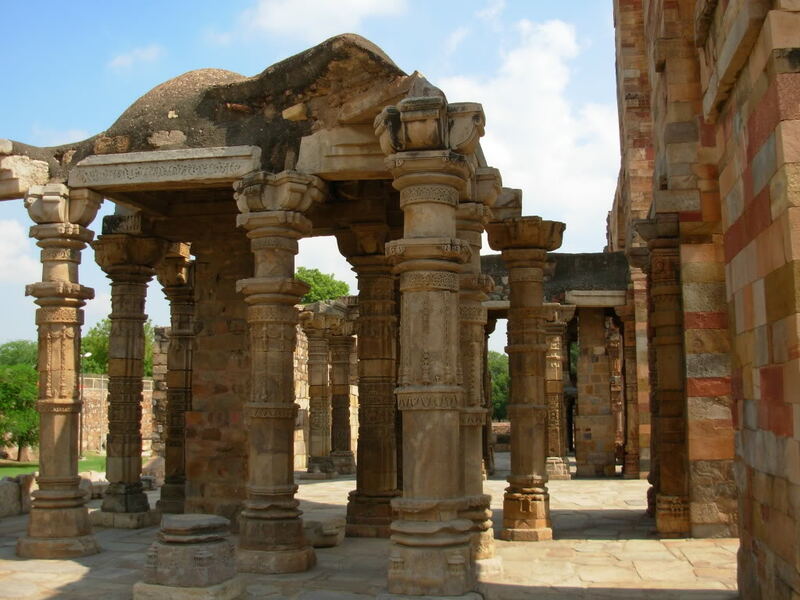 The fact that temples were broken and mosques constructed in their place is well known. Nor is the fact that the materials of the temples-the stones and idols--were used in constructing the mosque, news. It was thought that this was the way to announce hegemony. It was thought that this was the way to strike at the heart of the conquered-for in those days the temple was not just a place of worship; it was the hub of the community's life, of its learning, of its social life. So the lines in the book which bear on this practice are of no earth-shaking significance in themselves. Their real significance- and I dare say that they are but the smallest, most innocuous example that one can think of on the mosque-temple business-lies in the evasion and concealment they have spurred. I have it on good authority that the passages have been known for long, and well known to those who have been stoking the Babri Masjid issue.1 That is the significant thing; they have known them, and their impulse has been to conceal and bury rather than to ascertain the truth. I have little doubt that a rational solution can be found for the Babri Masjid-Ram Janmabhoomi tangle, a solution which will respect the sentiments, the essentials, of the religions of all. But no solution can be devised if the issue is going to be made the occasion for h show of strength by either side, if it is going to be converted into a symbol for establishing who shall prevail. The fate of Maulana Abdul Hais passages-and I do, not know whether the Urdu version itself was not a conveniently sanitised version of the original Arabic volume-illustrates the cynical manner in which those who stoke the passions of religion to further their politics are going about the matter. Those who proceed by such cynical calculations sow havoc for all of us, for Muslims, for Hindus, for all. Those who remain silent in the face of such cynicism, such calculations help them sow the havoc. Will we shed our evasions and concealments? Will we at last learn to speak and face the whole truth? To see how communalism of one side justifies and stokes that of the other? To see that these �leaders� are not interested in facts, not in religion, not in a building or a site, but in power, in their personal power, and in that alone? That for them religion is but an instrument, an instrument which is so attractive because the costs of weilding it fall on others, on their followers, and not on them? Will we never call a halt to them?